Have you ever wondered how an answering service works? We have outlined everything you need to know about an answering service; What it is. How it works. Everyone in business seems to be talking about the benefits of answering services these days. But what is an answering service and how does it work? Here are basic 4 steps to how a phone answering service works. Using a simple code (through your phone company), you forward your incoming calls to the answering service provider. When a call comes in, the call center will answer the phone IN YOUR COMPANY NAME. The agent will will take the callers full name, phone number, and a message. The message is delivered to you in live time via sms text, email, or fax. Other features, such as appointment setting, order taking, and help desk support are available as well. Answering services are not a new concept. But they’re becoming more necessary with the increased immediacy customers’ demand today. With the growth in call-centers, customers expect you to answer their calls outside of business hours. Answering services are the perfect solution to this dilemma. You pay a service fee to a professional answering company. Calls to your business during the hours you set get diverted to them. They then answer all calls, take notes schedule appointments, and ensure your customers feel listened to and looked after. Just as you want them to. They can look after multiple accounts so it’s much more cost effective than employing a night-time receptionist. Answering services common with medical doctors, contractors, and small businesses. With the growing popularity of answering services, there are more diverse options every day. Some specialize in offering bilingual or multilingual staff. Others use legally trained experts to screen potential cases for lawyers. Basically, if you have more customer calls to answer and respond to than you have time, you can use an answering service. It’s a big help in responding to customer complaints quickly. And that’s critically important for word-of-mouth marketing. Are Answering Services Cost Effective? Answering services come at a cost, and that can vary depending on the package and level of expertise you ask for. But without a doubt, answering services are cost-effective. Don’t believe us? How much would it cost you to search for, interview, recruit, train and pay wages to a bilingual switch operator? What would you have to pay in benefits, overtime – to cover night shifts, and insurance? Work out the annual cost, divide it by twelve, and compare it to the monthly subscription cost of answering services. Once you tally up the numbers, you’ll see how incredibly cost-effective they can be. Do you like an office where everyone knows everyone and there’s a lot of teamwork and collaboration? In this case, you might feel awkward having people that you never meet answering your calls. 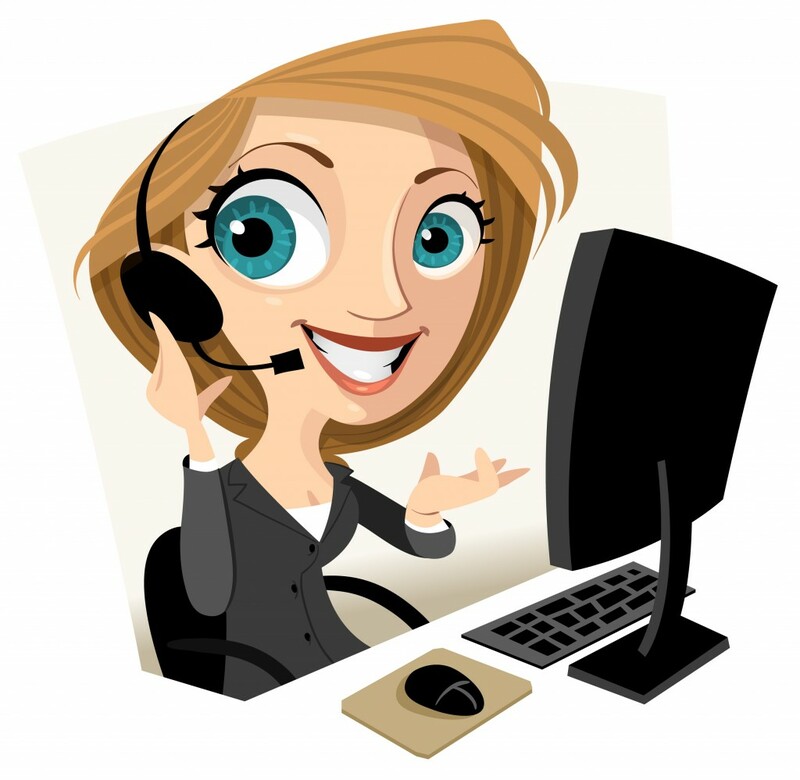 For most, the benefits of professional answering service outweigh the costs. If it’s a real concern for you having quasi-staff members you don’t ever meet talk to providers about it. They might be able to assign certain employees to your case. You could arrange to give the induction to your business to them personally, so you get a better sense of them. This gives the operators the chance to absorb the company culture a bit to treat your customers how you want them to. We think it’d truly surprise you if you knew how often you’d called a company and spoke to a very professional answering service instead of their actual staff. Asking how to choose the best provider is a bit like asking ‘how long is a piece of string?’. It all depends on call volume, the features you’re after, what services you require from them, and more. Start by asking yourself what is the minimum service you need. Next, think about what would a complete service look like, with all the features that could help your business scale. Put them in order of priority. Once you know everything you absolutely need, a wish list, and a budget, you’re ready to compare the offerings. If you’re still unsure, ask for a trial. See if it feels right, check if they truly listen to your requirements and if it has the desired effect for customer service. Like any other business expense, you want to compare quotes and feel confident about the alliances you make. It all depends on the operator and how much you want to spend, but there’s an impressive range of features out there. Answering service companies offer things like free local numbers, appointment booking and reminders, free trials, custom greetings for your customers, and email or SMS text messages. Look beyond cheap deals or extras you don’t really need. The most important feature is that they have operators that genuinely care about offering great customer service. A good trick to test this is to see how well the answering service you’re considering deals with your own call. Look for online reviews. Ask if they can provide proof or return-on-investment (ROI) they deliver to other clients. All of these bits of information will help you get the full picture of what is on offer and if it’s a good fit for your company. The services usually charge you a monthly fee. When you compare quotes, make sure you have all the fees and possible charges in front of you. These might be hidden in the fine print. You may be charged a setup fee, a training fee for their receptionists, and have to sign a contract. Ask if there is a cancellation fee. Also, check whether they commit to all calls being answered by an operator, not a machine. The best deal is generally a no-obligation month-by-month contract with a reasonable monthly rate. If you can, avoid companies charging a set-up fee as ideally, they’ll already factor this into the monthly fee. Choosing month-by-month gives you flexibility without risk. If you’re not happy with the service after trialing it for a month, you can get rid of them without wearing a heavy financial burden. Find an Answering Service Company! You asked us what is an answering service, and we came through! Now you know that answering services are cost-effective, around-the-clock solutions to responding to your customers. You now know that they can cut your overheads and help you deliver consistently great customer service. Now all that’s left is to find the right answering service for your business. Work out what you need and what your budget range is. Then, you’re ready to go ahead and check out all the best options right here!